All around Europe, and in other parts of the world, stone circles can be found. While the most famous of all is certainly Stonehenge, thousands of stone circles exist around the globe. From a small cluster of four or five standing stones, to a full ring of megaliths, the image of the stone circle is one that is known to many as a sacred space. Archaeological evidence indicates that in addition to being used as places of burial, the purpose of stone circles was probably connected to agricultural events, such as the summer solstice. Although no one knows for sure why these structures were built, many of them are aligned with the sun and moon, and form complex prehistoric calendars. Although we often think of ancient peoples as being primitive and uncivilized, clearly some significant knowledge of astronomy, engineering, and geometry was needed to complete these early observatories. "The standing megaliths and ring of stones were erected from 6.700 to 7,000 years ago in the southern Sahara desert. They are the oldest dated astronomical alignment discovered so far and bear a striking resemblance to Stonehenge and other megalithic sites constructed a millennium later in England, Brittany, and Europe." Where Are They, and What Are They For? Stone circles are found all over the world, although most are in Europe. There are a number in Great Britain and Ireland, and several have been found in France as well. In the French Alps, locals refer to these structures as "mairu-baratz", which means "Pagan garden." In some areas, stones are found on their sides, rather than upright, and these are often referred to as recumbent stone circles. A few stone circles have appeared in Poland and Hungary, and are attributed to eastward migration of European tribes. Many of Europe's stone circles appear to be early astronomical observatories. Generally, a number of them align so that the sun will shine through or over the stones in a specific way during the times of the solstices and the vernal and autumn equinox. About a thousand stone circles exist in West Africa, but these are not considered pre-historic like their European counterparts. Instead, they were constructed as funerary monuments during the eighth to eleventh century. In the Americas, in 1998 archeologists discovered a circle in Miami, Florida. However, instead of being made from standing stones, it was formed by dozens of holes bored into the limestone bedrock near the mouth of the Miami River. Researchers referred to it as a sort of "reverse Stonehenge," and believe it dates back to Florida's pre-Colombian peoples. Another site, located in New Hampshire, is often referred to as "America's Stonehenge," but there is no evidence that it is pre-historical; in fact, scholars suspect it was assembled by 19th-century farmers. The earliest known European stone circles appear to have been erected in coastal areas about five thousand years ago in what is now the United Kingdom, during the Neolithic period. There has been much speculation about what their purpose was, but scholars believe that stone circles served several different needs. In addition to being solar and lunar observatories, they were likely places of ceremony, worship and healing. In some cases, it's possible that the stone circle was the local social gathering place. Stone circle construction seems to have ceased around 1500 B.C.E., during the Bronze Age, and mostly consisted of smaller circles built further inland. Scholars think that the shifts in climate encouraged people to move into lower-lying regions, away from the area in which circles were traditionally built. 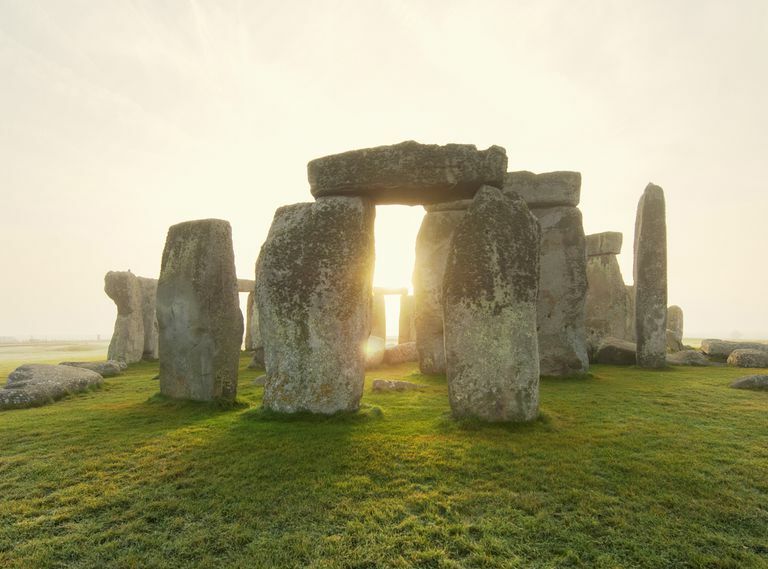 Although stone circles are often associated with Druids–and for a long time, people believed the Druids built Stonehenge–it seems that the circles existed long before the Druids ever appeared in Britain. In 2016, researchers discovered a stone circle site in India, estimated to be some 7,000 years old. According to the Times of India, it is "the only megalithic site in India, where a depiction of star constellation has been identified... A cup-mark depiction of Ursa Major was noticed on a squarish stone planted vertically. About 30 cup-marks were arranged in a pattern similar to the appearance of Ursa Major in the sky. Not only the prominent seven stars, but also the peripheral groups of stars are depicted on the menhirs."